A Brand New Day, children’s picture book about divorce is reviewed by My Little Book Blog! Thank you Lizzy for the wonderful review! Hellllllo readers, another day another book to bring you; I have honestly read some wonderful books recently. I’ve been adding them to Goodreads and Amazon and although I don’t personally do stars you have to on such websites and so many of them are four or five stars. I’m starting to feel a little like a broken record with all the praise however bringing you excellent books is all part of my job. Today a delightful children’s book, that looks at the silver lining of parents separating. After graduating from the University of Nottingham with a degree in English Studies, Kate went on to work as a trainee researcher at BBC Birmingham. In 2002 she moved to Glasgow to work with BAFTA and Emmy award-winning director, Norman Stone (Shadowlands, The Black Velvet Gown) at his company, 1A Productions. During her time there she learnt about every stage of TV and film production, working on many dramas and documentaries before producing her own documentary, Old MacDonald’s Farm, for BBC Scotland. Meanwhile, Kate has always had a passion for writing. From the age of fifteen she secured a regular column in her local newspaper, The Northern Echo, and has been writing professionally ever since. She started writing her blog, Suddenly Mum, when she became a full-time step-mum soon after marrying her wonderful Congolese husband, Consol. 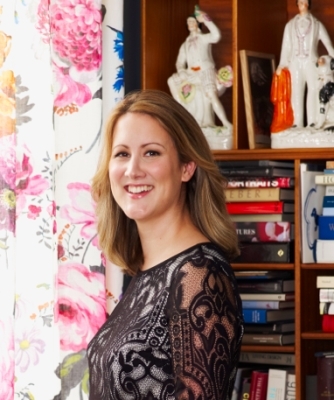 In November 2013, whilst on maternity leave, Kate started her own copywriting, proofreading and web content business: kateefomi.com – The Wonderful World of Words. She is also working on various writing projects and is contemplating a children’s book based on her most popular blog post to date: Daddy Had a Pet Baboon. She also opened notebooklove.com – an online store selling beautiful notebooks for those who prefer old-school paper – in early 2015 as a passion project. 1) Tell us what your blog is about and what inspired its conception? My blog centres on my relatively new role as step-mum to two gorgeous girls who have hearts of gold and a very messy bedroom. Two months after marrying their dad, they unexpectedly came to join us, full-time and permanently. For the first few months, I was having fun and panic attacks all at the same time. I was Suddenly Mum, forever! No maternity leave or health visitor support, just straight into packed lunches, homework help and school gate shyness (me, not them). I love writing and my new life provides me with plenty of material. My blog laughs at my own fumbling maternal attempts, offers me a little therapy and solace and helps me order my thoughts about being a step-mum – a job that doesn’t come with the best of stigmas attached. Thanks, Cinderella. 2) Who is your ideal reader and what do you hope they can gain from your blog? My main reason for starting my blog was to create a bit of space for me. An online journal, if you like. But in those early days what I didn’t realise was that there was such a fantastic support-network of fellow step-mums and mums out there, both on blogs and Twitter. A blog isn’t just a book you scribble in before sticking it under your bed at night. It’s a living, breathing creation for all to see… and comment on. I don’t aim my blog at a particular audience, but new step-mums seem to find it mildly amusing and sometimes helpful. 3) Where do you see your blog in 5 years’ time and will the topic continue to be as prevalent? Just as I told myself over and over again during that first week, as I clenched the duvet around me: This is for life. I’ll never stop being their mum now. We’re family through-and-through and with that will always come stories. In 2013, our little girl was born and she has brought our new family even closer together. She’s a laugh-a-minute and brings her own unique stories and experiences. Right now we have a teen, a tween and a toddler. In five years’ time our eldest will be 19 and emerging from the fog of her teens, my youngest step-daughter will be celebrating her 16th birthday and the toddler will be starting school. All manner of fun to be had there! Thankfully, 5 years is a little too soon for step-grandchildren. I hope! 4) How do you continually find content for your blog? Life constantly provides colour, stories and anecdotes. Whether it’s the youngest asking if there was electricity when I was young or the oldest being scared about the impending birds and bees school talk… there’s always something to write about – tastefully and always with the girls’ hearts and dignity held in the highest regard. Mine, not so much. 5) Describe your parenting style and how did it forge the relationship you have with your two step daughters? I had a very happy childhood with strict but loving and fun parents who showed an active and supportive interest in me as I grew up. Thanks to Billy Graham turning up in Leeds in the early 80s, my childhood home soon became a Christian one where I was introduced to a loving and kind God. If you’ve had a happy childhood I think you want to replicate it for your own children. I certainly want to do that for our girls. I can be pretty shouty though and I’ve been working on that. I’m a bit of a clean-freak and I grew up with a clean-freak mother. Before I was born, Mum was an officer in the Royal Air Force and one of her jobs was to inspect levels of cleanliness by running her hand, in a white glove, along skirting boards and tops of cupboards. She carried that standard into our family home when I was growing up and still insisted on the skirting board inspection after I’d cleaned my bedroom. Thankfully the gloves were long gone by then, though. As a result, I feel more at peace in a clean and orderly house, but I’ve had to let my standards drop a little for the sake of sanity these days. The girls have got better and summer holidays with my parents (whom they love dearly) have been a bit of an air force bootcamp for them. No complaints from me and I think they now appreciate the fact that they can see their bedroom carpet. 6) What advice would you impart onto first time step mothers so they are well equipped to start this journey? Don’t try too hard, pray hard and just as you’ve committed to your husband in marriage for better or for worse, resolve to do that for the kids too. Roll with the challenges and be honest with the kids when you need a bit of space. I tried to be Super Step Mum for the first few months, but ended up blowing a gasket and turned into Step Monster instead. Major back-fire! Work together as a new family, after all you’re not the only one who’s new to this. Encourage the kids to talk openly about how they’re feeling, what they’re finding tough about being in the new family and listen, listen, listen, love, love, love. Oh and no matter how tempting it might be, never speak ill of their mother, even if it means just being silent – it’s really not worth it and can be so damaging to the kids and the family life you’re trying to build. Every now and again we go out for a family meal and review the highlights of the last few months together. We also each go round the table and pick out positive things to say about each person in the new family. It builds everyone up and creates a great atmosphere in every-day life, which could otherwise be tough. This life is so rewarding and I wouldn’t now swap it for the world. 7) Apart from a blended family, you also have a multiracial family. Does that add colour to your family life and how did the Scottish in you and the African in him embrace that? Although I’ve been living in Scotland for the past thirteen years I actually grew up in beautiful North Yorkshire, south of the border. Meanwhile, my husband, Consol, is originally from the Democratic Republic of Congo but his dad’s job took his family around the world. Before he was a teen, Consol had already lived in China, Germany, Sweden, Burundi and Zambia. He also went to boarding school in Belgium so Consol has quite a western outlook on life. Having said that, there are definitely differences and when we first started dating we had very little in common. From how to carve a chicken (carve it? What about the bones? Give me the bones!) to the pets we had as kids (hamster and cockatiel vs baboon and monkeys), things definitely differed. But the most important thing in my life and the most important thing in his is exactly the same: our faith. That holds us together. Any other cultural heritage or tradition takes a back seat really. Our wedding was great, though. Lots of African men in kilts and a tongue-in-cheek dowry of a live chicken for my mum! The girls are very Scottish as the oldest came here when she was three while the second step-daughter was born here. They say they don’t fancy going to Africa as they, ‘don’t want to encounter any snakes or creepy crawlies’. Consol rolls his eyes and knows we need a family trip there some time soon to give them a taste of their roots. Occasionally we have Congolese food, which I know Consol misses. Yorkshire puddings don’t quite cut it for him so he sometimes buys banana plantain and chikwanga at the local African shop. I must get his mum to teach me to cook Congolese dishes next time she visits. Last time she was here she cooked so hard she split our wooden spoon clean down the middle, length-ways! The food was awesome though and well worth the minor damage. 8) Do you have any advice for aspiring bloggers? Give it a go. Set up your blog and don’t think too hard about what you’re going to write. Build it bit-by-bit. It doesn’t have to be perfect all at once. Just use it as a diary and you’ll find that the stories start to flow. I am forever tweaking and changing my blog. The important thing is just to start, then the fun begins and you’ll be hooked. Join Twitter as well – there’s a massive community of mums and step-mums out there and Twitter helps you find their blogs. They’re all so lovely, come and join us! Should you wish to know more about Kate Emofi and would like to follow her blog, here are all her pertinent details. Eleise is a mum to one gorgeous, ridiculously active 6 year old girl and wicked step mum to a teenager girl doing her HSC and step-step mum to an 18year old boy who ran away to the Navy, she calls these her bonus kids. She has been part of a blended family for 4 years and is always learning. She writes about her struggles with the relationships with the 8 parents who raise three awesome children and the complex nature of the blended family. She was a step child and now a step mum so she often reflects on her own childhood to try and make best decisions for her family. Outside of her blended family Eleise is an accountant, married to an auditor and lives in beautiful Wollongong. She loves to cook, run half marathons and can get a little obsessive about living a healthy life. She hates cleaning and holds steady to the idea that a clean house is a sign of a wasted life. The whole family lives a crazy busy life, encouraging each other to make the most of each day and live with gratitude. I started blogging before I met my husband and wrote about my local area and reviewed cafes and events. When I started dating my husband I really struggled with the new dynamic of being a blended family and I couldn’t seem to get my head around our situation. I started googling forums for step mums and I was shocked by how much of it was negative. I wanted to write a new blog to document my difficulties but also the positives and lessons I learnt along the way. I found the blog much cheaper than therapy and often used it as a way to communicate with my husband. My ideal reader is other mums in blended family or step mum roles who just want to love their step kids and enjoy their blended family. Being a blended family can be horrible some days so I want my readers to see that although I have crap days sometimes there is light at the end of the tunnel and it can become more positive. I sometimes get emails from step mums reaching out for some positive support they adore their husbands but their new blended family just isn’t working, they don’t want to hear horror stories they want to hear that there are positive steps you can try to improve the situation. I think blended families is a growing topic, more parents are reaching out for information and trying to make their unique family work. With the number of kids in blended families growing I think that blogs are a great way to share experiences and maybe get some tips from other mums who have already been through the same situation. It is usually easy, having to deal with 8 parents and 3 kids, marriages, babies, sports, different school, and of course running, ideas comes to me. Our life is crazy, finding content is easier than time to write it down. 5) How did being a step child help you become the step mother you are today? My dad died when I was 4 so I was a pretty messed up kid, in my early teens life threw me some huge curve balls and that didn’t help. I was pretty horrible to my step dad and my mum. I often thought about what they could have done better as parents, now as a step mum I try and put those lessons in place. I love my step dad now and have a great relationship with both of my parents. During the difficult days I think about how hard it was on them and they survived. 6) How do you cope being a parent to a kindergarten and two teenagers? It would require such different parenting styles due to the age difference! I will admit that some days I feel torn at each limb. One child gets up at 6am every morning whilst the others want you to stay up until midnight every night. One wants to go shopping the other wants to go to the see a kids movie. We found that we need to break up often and give the kids individual time. My daughter and I go to the local cafe for coffee and milkshakes on Saturday mornings whilst hubby and the teens sleep in. The teens require more emotional support where the 6 year old needs help with everything and a lot of time. Miss 16 likes to go on dates with my husband and I to restaurants we can’t take the youngest. I am very lucky to have in laws who are happy to babysit. 7) How do you find the time to blog, being a step mother, mother, wife and tax accountant? What’s the secret? I went back to work full time in May last year, it certainly has been a challenge to continue blogging. 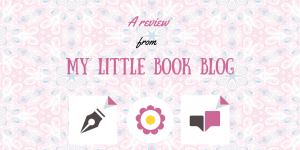 I see blogging as something that keeps me balanced so it is just like writing a diary. We don’t watch much TV so I blog in the evening when the youngest is in bed. I think the real secret though is low expectations, my home is far from perfect and good enough is well….. good enough. I try to prioritise what is important to me and my blog is part of my journey. 8) How did you keep up with your ‘balance’ for 2014 and how will that help you keep this year’s resolution of ‘simple’? When I decided on my word for 2014 being balance I knew I had a tough year ahead. Our eldest was starting in the Navy, the middle child was starting her HSC, the youngest was starting school and I was selling my business and starting work full time. I knew that we needed to keep balance to survive. When I started working full time, my husband used some leave to structure part time hours to help with the transition and balance. We often sat down through the year and asked ourselves how could we balance things better, often it meant giving something up or splitting up our team to divide and conquer. 2015 is all about simple, this word came from balance because so often last year, simplify was our answer. I tend to over complicate things, so I want to focus on simplicity. 9) Do you have any advice for aspiring bloggers? If you love writing, just write. Don’t worry about statistics, write from the heart. Should you wish to know more about Eleise Hale and would like to follow her blog, here are all her pertinent details. Several years later, I was at a friend’s birthday party at a local restaurant. I noticed a lone gentleman in the room and knew immediately that I would someday marry that guy. I told my best friend to take a look at him because I would one day marry him. True to my word, I married “that guy”, my second husband, Bruce. Thus, began my journey as a stepmother to three wonderful kids: Adrienne, Nathan and Betsy. I now had the opportunity to parent children who ranged in age from six to fifteen. It wasn’t long before my children started to label me, “Wicked One”: a name I have worn with pride (especially when given the opportunity to shoot at them at laser tag). I made it my personal mission to make sure that I showed those kids a good time and appropriate revenge on a daily basis. It has been quite the journey that I love sharing with my readers, students and clients. Along the way, I received a Masters degree in Business and a Bachelor of Science degree in Special Education. I am also a Certified Life Coach, studying with Dr. Martha Beck. (Dr. Beck is a world renowned author and columnist for O Magazine.) I also have spent almost 20 years in corporate America with a large Fortune 500 company: skills that have certainly helped to create classes and coaching programs for stepmothers who would like a more peaceful life. To that end, my goal is to teach the art and science of stepfamily management. Neuroscience, biology, sociology, leadership skills combined with good ole fashioned Mom know-how combine to find each stepmother’s happily ever after. Bring your sense of humor. You’ll need it! 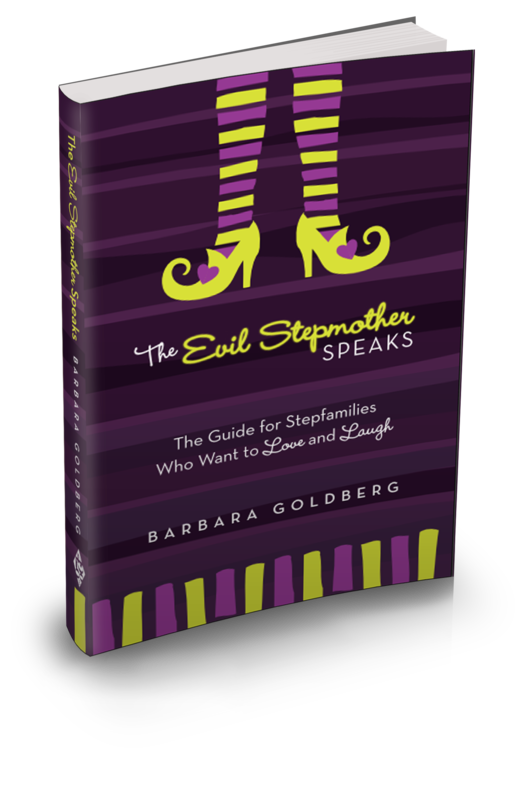 The Evil Stepmother Speaks is a blog dedicated to saving the world one stepfamily at a time. Over 95 million people have a step-relationship and many of them suffer. I want to stop that frustration and explore solutions. Look for lessons from the fields of neuroscience, psychology, sociology, physics and leadership. I also like to include practical ideas from my own experience and mom ‘know-how’. If a person reads one blog and learns something or feels better about themselves and their families, then I have done my job. my ideal reader is a woman who is in a relationship with a partner who has children from a previous relationship. She is about 25-55 years old and has frustrations about her role as a stepparent. The goal of The Evil Stepmother Speaks is for stepmothers to know that they are not alone. My ultimate goal is to teach stepmoms how to love and laugh. I see the blog becoming more popular and relevant. Stepfamilies will continue to be recognized, as the ‘normal’ family structure. Readership will grow by double digits. More stepparents will take our classes and understand the value of taking the time to learn how to lead. It feels as though the stepfamily journey has an unending list of blog topics. After all, the stepmother fable started so long ago! I never struggle with new ideas. The women who chat on my Facebook pages inspire me every day and keep me relevant. 5) “Once upon a time, I misplaced my first husband…” Although I laughed at your opening line, it must have been extremely difficult. How did you find the strength to cope with this and are you a different person now? The pain of a divorce is like someone stabbing you in the heart. Even if you are the one that initiates the separation, the impact is the same. So, yes, this was an extremely difficult time. The strength came from my son who was a toddler when I got divorced. Children keep you focused and you just do not have the luxury to be depressed or lazy. I still believe the life of a single parent is the most difficult. Divorce, single parenthood and stepparent-hood changes who you are. Am I a different person? I would say that I am the same person, just wiser and older. All of these accomplishments have happened over a lifetime. My Bachelor and Masters degrees happened prior to the birth of my son. 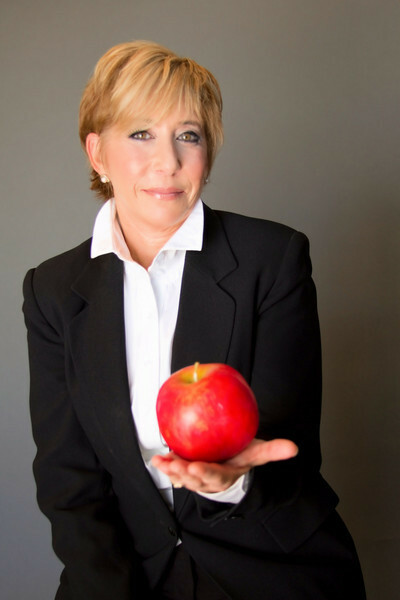 I studied with Dr. Martha Beck and became one of her certified coaches by taking courses at night, during the last several years of my corporate career. The book was a journey over a couple of years. It is all about pursuing goals that you love and taking it one small step at a time. 7) What is the secret to a successful blended family? One secret to a successful blended family is a stepmother who has a great sense of humour and does not take herself too seriously. She understands the science behind it all and the power of compassion and silence. Don’t try to go it alone. Get support from a trusted professional while understanding that it isn’t personal. 8) How would you describe your parenting style? I would describe myself as tough on the outside, with a soft heart. I like to think that my family knows what I stand for and what the expectations are. 9) What advice do you have for aspiring bloggers in terms of getting into the media? The media is interested in what you have to say. There are so many outlets and you can find your place. Have confidence and tell people your story. They want to hear it. Should you wish to know more about Barbara Goldberg and would like to follow her blog, here are all her pertinent details. 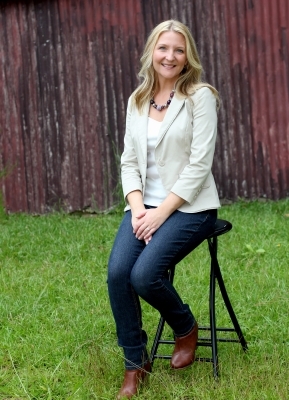 Donna is sharing her faith and blended family life on blendermom.me. She is a graduate of SheSpeaks through Proverbs 31 Ministries. She has done a series of articles on Uplifting Families and is a regular contributor to Family Fusion Community. She is currently pursuing a degree in Biblical Studies. She and her wonderful husband have been married for over 6 years. She has a beautiful 15 year old daughter and a handsome 10 year old son as well as a handsome red headed 12 year old stepson. Aside from working, writing and school, she serves in the Open Arms program in her church working with children with special needs. My blog is about being a biomom and a stepmom in a blended/stepfamily. I have loved to write ever since I was a young girl. It was an outlet to express emotion for me; a happy song, a sad poem, a prayer to God. I can’t think of more emotionally charged circumstances than verbal/emotional abuse, divorce, remarriage, and blending a family. In scouring the internet for help through this journey, I noticed that although there were Christian articles and websites on stepfamilies, there was very little faith-based information and advice on some of the deeper issues that we had faced such as court, custody, jealousy, competition, control, abuse, etc… So I started a blog to express my emotions and feelings as well as to share my thoughts on some of those deeper issues from a biblical standpoint. Divorce can be very emotionally damaging for all involved. It can leave you feeling that something is inherently wrong with you, that somehow you were made wrong and that’s why it didn’t work out or now that you are divorced and remarried, God can’t use you. I want my readers to know that God doesn’t make mistakes. He gave you everything you need to be great. Your blended family may have come out of a broken home but God heals and restores so that your family is not broken. You are restored to unbroken. In Esther 4:14, there’s a phrase that says “Who knows if perhaps you were made queen for just such a time as this?” Your roll whether it is biomom, stepmom, or like me, a blendermom is such a wonderful opportunity to facilitate that healing and exemplify unconditional love. I truly believe God placed you in this roll for a reason inspite of all the discouragement and issues. I hope that God will continue to open doors for me to share my journey and faith to more hurting stepmoms, biomoms, and blended families. I hope to eventually create more of a ministry of healing out of my blog. I think that it will absolutely be prevalent. We are just starting to see more churches and faith-based organizations reaching out and ministering to these familes but there is so much more to be done. (Lol) My life is continual content. That is absolute truth. 5) What opportunities has your blog provided you? Connecting with some really great “blendermoms”. Opportunities to share God’s unconditional love. The opportunity to help just one other mom feel that she is not alone. 6) How do you juggle “3 kids with 3 other parents that go to 3 different schools and have 3 different parenting schedules” and also manage to maintain a blog? I describe it as glorious chaos. It is very difficult to find time to write but I just always seem to manage. I am not always able to blog every week but I try to at least twice a month. I also have lots of schedules and notes plastered on the fridge to keep up with who is going where and with whom. 7) What words of wisdom would you have for first time step mothers? The dad and the children are a package deal. You can’t commit to one without committing to the other. It’s hard. It’s disappointing at times but make the decision to support and love anyway no matter the return. You may be the only example of what a good healthy family relationship is supposed to be. Write! If you are considering starting a blog then write some posts before you go through the trouble of setting up a website. It will help you form more of what you want to say. It will help you with organizing your thoughts on what you want to share. And it will also help with setting the tone and atmosphere of your blog. Should you wish to know more about Donna Mott and would like to follow her blog, here are all her pertinent details. 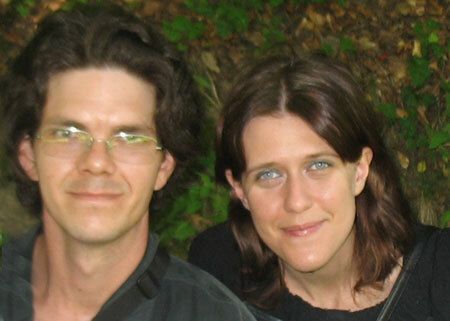 Frank and Ana are an American expat couple currently living in Croatia. Their family is a blended one, not just because this is their second marriage but because they are also a blend of two similar yet different cultures. Their blog is a place where they share their blended family experience as well as blogging, design and productivity tips. Our blog is about our everyday life, a place for us to share our experience as a blended family, our dreams for the future with a mix of blogging, design, and productivity tips. Our ideal readers are other parents, people who have been in our situation, and people who are facing the possibility of having a blended family. We hope to inspire others and show them that there is love and life after divorce, that blended families can thrive, and that dreams do come true. In 5 years time we hope to still be blogging and we hope that our topic will be prevalent as it is today because blended families are out there and I don’t think they will go away any time soon. We find inspiration in our day to day life, and we address any issues we might come across. Sometimes, a heated topic can be a theme for a general post idea, but we also share our knowledge of blog design since we are experienced in that area. Considering Ana is also a work at home mom she knows all too well the struggle work at home moms face and she is not afraid to jump in and share her experience with others. So far, we have been interviewed on a few small scale blogs, and Ana had a few of her posts featured on BlogHer and SITSGirls blogs. We also had the opportunity to review Time Doctor, a fabulous time tracking software, and work with a few brands on sponsored posts such as ServiceRestore Master and Merry Maids. 6) What made you include a “complete random things” page to your blog? We wanted to be honest and fun at the same time. Although we have an About page on our blog, it serves more as an overview of what our blog has to offer. Writing separate pages with random facts about us seemed like a fun way for people to get to know us better. 7) How do the two of you work together on this blog? Do each of you have distinctive roles or is it very much adhoc? 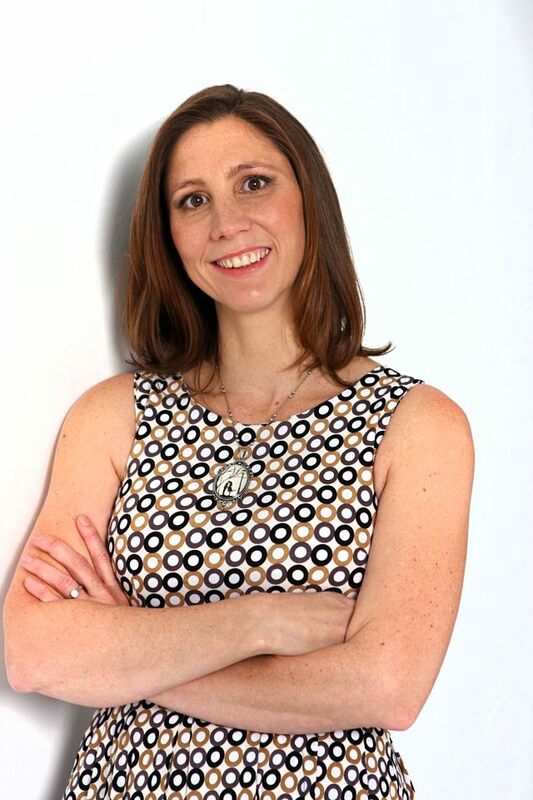 When it comes to maintaining the blog and social networking, Ana carries the load there. When it comes to writing blog posts, Frank is more spontaneous than Ana and blogs as his work schedule allows. It’s nice to have a blogging partner who also serves as a back up editor and someone to bounce off general topic ideas. We could probably tell you here everything that’s already been said multiple times. So we are not going to do that. The words of advice that we have is: be who you are, and be social. Nobody will come to your blog just because you published your first post. You have to let the world know you are there and the best way to do that is to go visit other bloggers. Be generous with comments and with sharing their content. Don’t give up if they don’t visit you immediately. Most of the bloggers out there have a few dozen other blogs they follow and it might take a few comments from you before they come visit your blog. But in 99.9% of the cases they will come and check you out. Should you wish to know more about Ana & Frank Amelio and would like to follow their blog, here are all her pertinent details. I have always been a blogger. I can remember starting a LiveJournal back in High School & I always kept up some form of a private blog. I started publicly blogging in 2008 after the loss of my son, Liam. Originally, I wanted to connect with other parents who had experienced loss similar to mine. Since then, my blog has taken on a whole new life & I’ve loved the community it has opened up to me. An ideal reader? Well, ANY reader is ideal; I’m not picky! Ha! My typical readers are Moms & Step-Moms with small children. By sharing my experiences, I hope to teach other parents whether it be with easy recipes or crafts to potty training & step-parenting. In five years, I’d love for Our Holly Days to be a fairly mainstream blog that offers tons of content for parents with children of all ages. I’d also love to write a recipe book that features fun holiday ideas for kids. I’m a pretty creative person; so I’ve never had an issue with that area. I do get into a slump now & then, but motivation is key. I treat my blog like it’s my job & dedicate myself to making it fun, fresh, & filled with content. When I began, it connected me with families that had also lost babies. It made me feel like I wasn’t alone in my grief & provided me with comfort. Since then, I have been blessed to be able to work with several brands that my family already uses. How much fun is it to get paid to share things you already love with your audience!? It’s opened up a whole world for me! 6) With a brood of five children, how do you find the time to blog and also include all those wonderful photos to complement your posts? I’m organized down to the minute. I’m a self-confessed organizational freak; so I am careful with my time. Typically, I work while the kids are in school or napping, & even late into the night. 7) Living so remotely, how do you keep up with fashion, style and crafts? BLOGS! It’s so much fun to keep up with the trends, activities, ideas, & more via my fellow bloggers. It gives me a link to the world outside of my rural town & allows me to explore ideas I wouldn’t usually see. 8) How do you get inspired with all your recipes? I draw most of my ideas from what made me excited as a kid. My mother was always creative with food & it made me feel so special. Transitioning that into my cooking has always felt natural to me. Dedication. I’ve had several people approach me to help them start a blog & they get off to a fabulous start, but six months in they give up. Posts suddenly stop & they disappear. I didn’t get to where I am overnight…or even in a year. It takes dedication & determination to not give up. You’ll build an audience over time. And get to where you want to be! 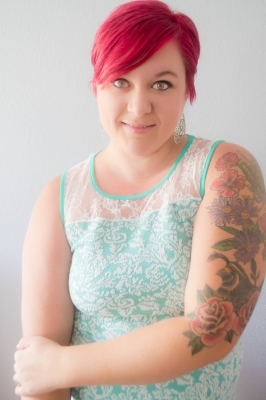 Should you wish to know more about Holly Sosa and would like to follow her blog, here are all her pertinent details.